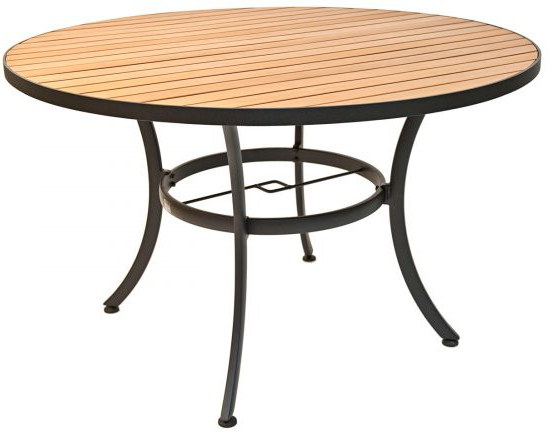 This 48 inch round patio table features synthetic teak slats with aluminum frame & edge. Our synthetic/resin teak tables will maintain their beauty for years to come. This table that seats 6 people is perfect for outdoor restaurants, bars, resorts & more!